The Myers Myerpaedic Ortho Pocket 800 Mattress is a robust and supportive mattress, perfect for those who prefer a firm mattress or struggle with back pain. With 800 individual pocket springs, the key pressure points and contours of your body are targeted with tailored support. Paired with luxurious comfort layers, this bed provides valuable pressure relief and a better night’s sleep for yourself and your partner. 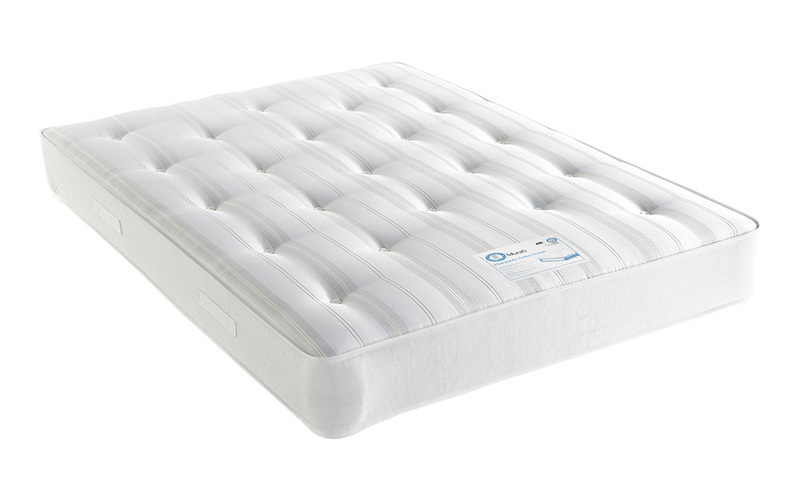 This mattress is double-sided for longer use and even wear across it’s lifespan and is hand-tufted to keep the loose fillings secure. Enjoy the convenience of our free delivery service and discover your ideal mattress today!